Lie superalgebras are a natural generalization of Lie algebras, having applications in geometry, number theory, gauge field theory, and string theory. 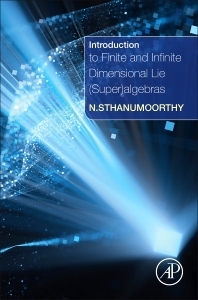 Introduction to Finite and Infinite Dimensional Lie Algebras and Superalgebras introduces the theory of Lie superalgebras, their algebras, and their representations. The material covered ranges from basic definitions of Lie groups to the classification of finite-dimensional representations of semi-simple Lie algebras. While discussing all classes of finite and infinite dimensional Lie algebras and Lie superalgebras in terms of their different classes of root systems, the book focuses on Kac-Moody algebras. With numerous exercises and worked examples, it is ideal for graduate courses on Lie groups and Lie algebras. Upper graduate and postgraduate students interested in Lie algebras, Lie superalgebras, quantum groups, string theory, and mathematical physics. N. Sthanumoorthy has 45 years of teaching and research experience. Formerly Professor and Professor Emeritus, Dr Sthanumoorthy is presently the Principal Investigator of a Book-Writing Project funded by “Science and Engineering Research Board - Department of Science and Technology, Government of India” in RIASM, University of Madras, India. He has published several research papers on topics closely related to the title of the present book, guided many Ph.D. scholars and evaluated several Ph.D. theses. He was an editor of Kac-Moody Lie Algebras and Related topics, which published as volume 343 of ‘Contemporary Mathematics (AMS)’, and he is a reviewer for Mathematical Reviews. He delivered lectures in many institutions in the USA, Germany, Italy, China, and India. Many awards and honors were also conferred on the author. We all know superalgebras are catching up specially from physics point of view. From maths point of view the book under review gives so many examples of superalgebras. This will be very useful for young researchers. There is an abundance source for new research in this book.